I talk about this thing, this thing I call “The Four Steps” to behavioral wellness. These steps, as I see them, are exercise, enrichment, nutrition, and communication. My thinking is that if these four areas, these key components of mental health, are addressed in our dogs that we will see fewer behavioral issues. These steps were born from my life with dogs but more importantly they sprouted from my own path toward mental health. When I say exercise I really do not mean treadmill running or conditioning on inflatable items. I mean moving all the muscles in ones body while out under the sky and on top of the dirt. For dogs, this means free off-leash running in natural areas. In people, the research on this topic is staggering. In our dogs, we don’t have research to back this up (that I am aware of) but one thing is clear: if a human being who is evolved to live in urban environments needs nature as badly as the research suggests, then shouldn’t this be the same for our dogs? 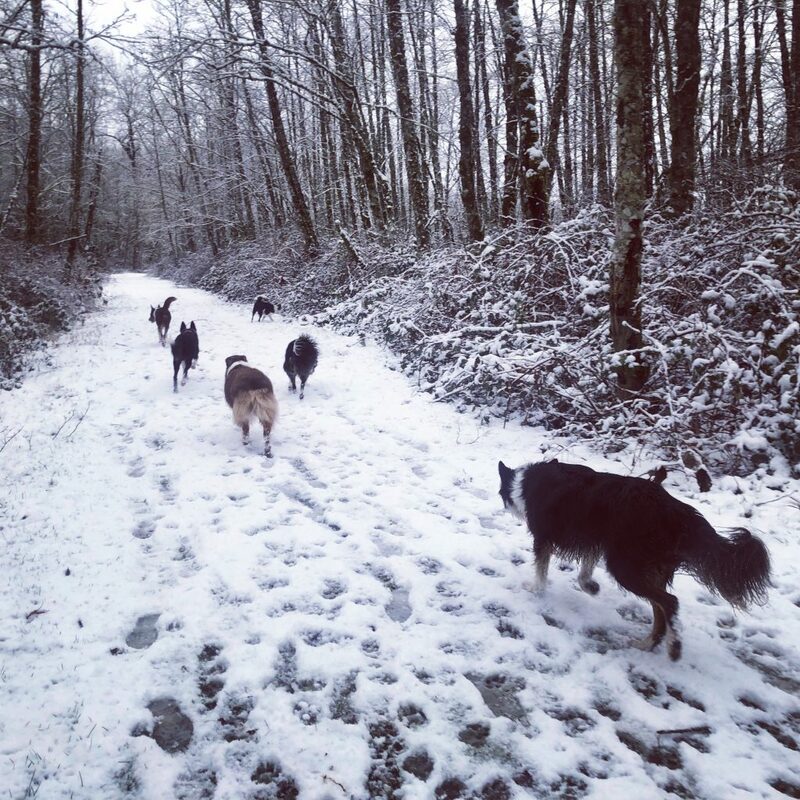 My anecdotal experience with my own, and my clients’ dogs is a resounding yes. In humans, this is stuff like knitting, coloring, yoga classes, and even the Thursday night prime time lineup. Enrichment is what we add to our environments to keep our brains active. It keeps us from boredom and destructive habits. A properly enriched animal of any species (human, dog, or honeybee) is a fulfilled one. This concept has long been embraced by the zoological community; everyone knows the poor captive animals in zoos and aquariums need environmental enrichment! How else is it even remotely fair to keep them in a tank or cage? Somehow, though, dog owners forget their domestic dogs are captive, too. They have brains, they have feelings, they have thoughts. They have emotional needs. Providing them with simple environmental enrichment is easy enough and shouldn’t be considered “extra” but rather, the norm. We have to feed them every day, why not provide them with enrichment while we do so? 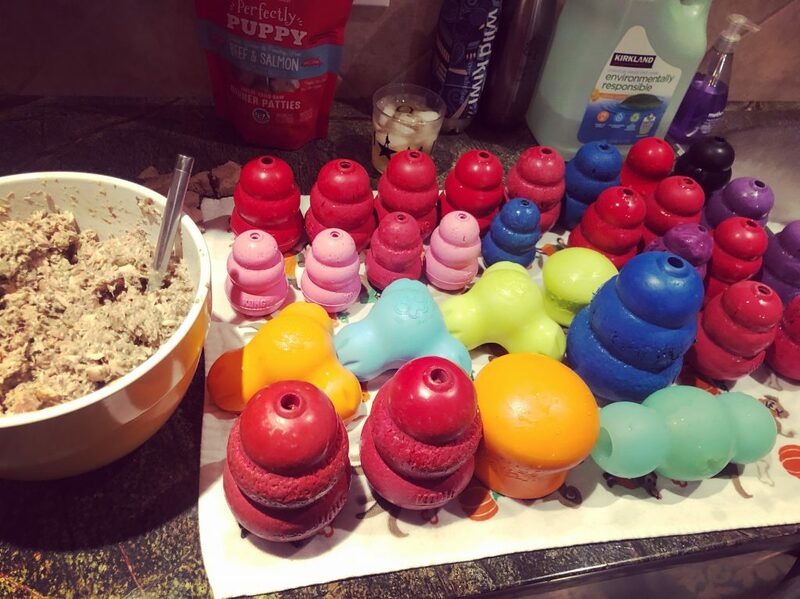 Kongs, slow feeders, and your recycling bin are all excellent ways to keep your dog’s mind active on a daily basis. I am neither a veterinarian nor a nutritionist so I am not going to tell you what to feed your dog. I am going to tell you the growing body of research on the “gut brain axis” is compelling to say the least. 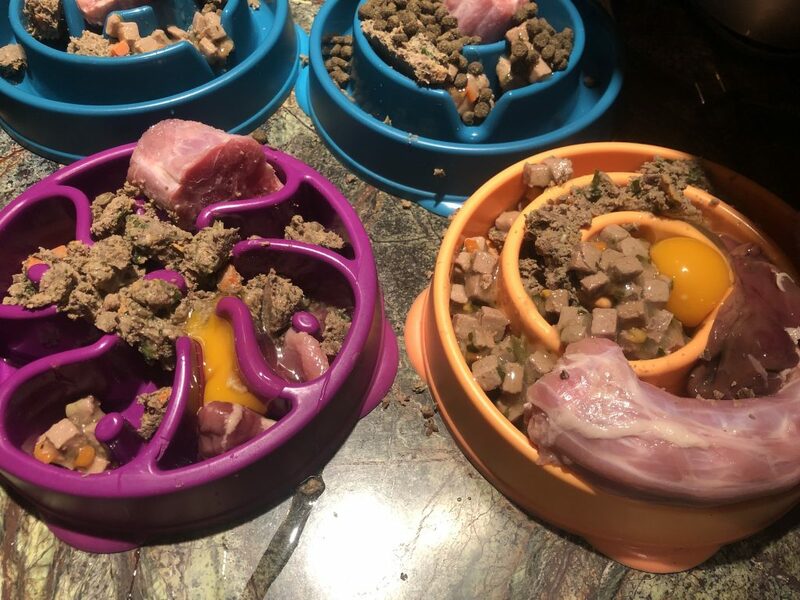 And while that research in dogs is barely getting off the ground, there is enough information in humans indicating fresh foods as the best road to health for me to feed my dogs that way too. This one is tricky. Communication is vital in any relationship and what you and your dog have is just that; a relationship. We find it difficult enough to communicate with other humans, let alone another species entirely! 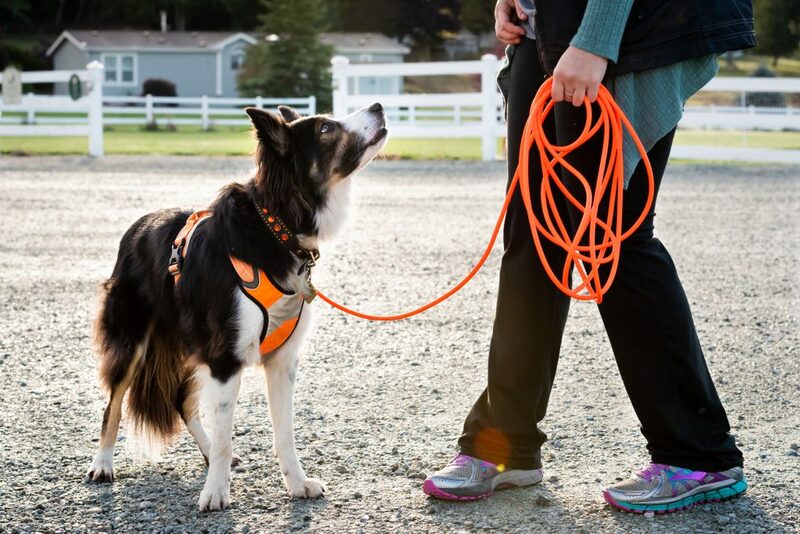 Rest-assured, dogs are doing their best to understand us, and we would do well to try to communicate better with them. Good news: there is a lot of information on that. Bad news: there is a lot of garbage to sort through. Know this, and this above all else; you never need to hurt, scare, or intimidate an animal to communicate. There is always another way.